Dr. Chloe Atreya graduated the medical school from the Yale University School of Medicine and then she completed her residency program at the University of Washington. 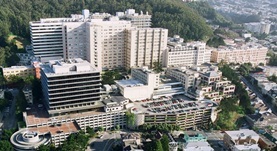 A fellowship at the UCSF followed soon after that. Dr. Atreya is specialized in oncology and board certified in internal medicine and medical oncology. 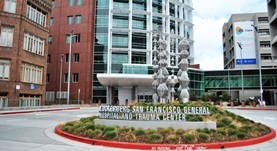 She has been practicing medicine for more than 11 years and is affiliated with the San Francisco General Hospital. During her career, she has also contributed to four publications of medical interest. Dr. Chloe Atreya has contributed to 3 publications. PTEN expression is consistent in colorectal cancer primaries and metastases and associates with patient survival. Atreya, C. E.,Sangale, Z.,Xu, N.,Matli, M. R.,Tikishvili, E.,Welbourn, W.,Stone, S.,Shokat, K. M.,Warren, R. S.; Cancer Med. 2013 Oct 25. Association of TP53 Mutational Status and Gender with Survival After Adjuvant Treatment for Stage III Colon Cancer: Results of CALGB 89803. Warren, R. S.,Atreya, C. E.,Niedzwiecki, D.,Weinberg, V.,Donner, D. B.,Mayer, R. J.,Goldberg, R. M.,Compton, C.,Zuraek, M. B.,Ye, X.,Saltz, L. B.,Bertagnolli, M. M.; Clin. Cancer Res.. 2013 Oct 15. Incomplete inhibition of phosphorylation of 4E-BP1 as a mechanism of primary resistance to ATP-competitive mTOR inhibitors. Ducker, G. S.,Atreya, C. E.,Simko, J. P.,Hom, Y. K.,Matli, M. R.,Benes, C. H.,Hann, B.,Nakakura, E. K.,Bergsland, E. K.,Donner, D. B.,Settleman, J.,Shokat, K. M.,Warre...; Oncogene. 2013 Apr 1.